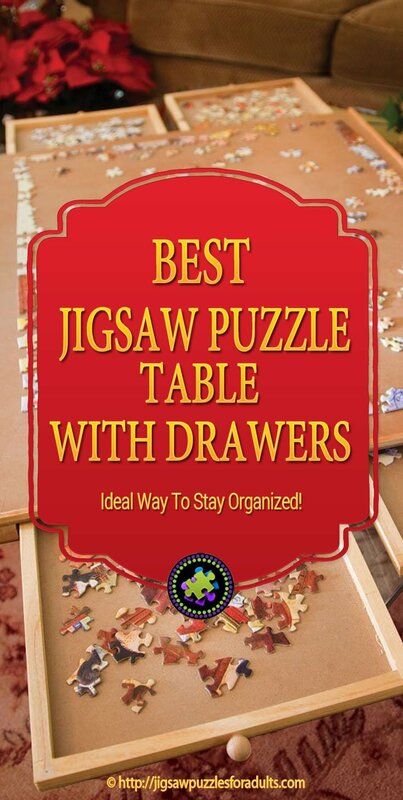 Best Jigsaw Puzzle Table With Drawers Helps To Stay Organized! 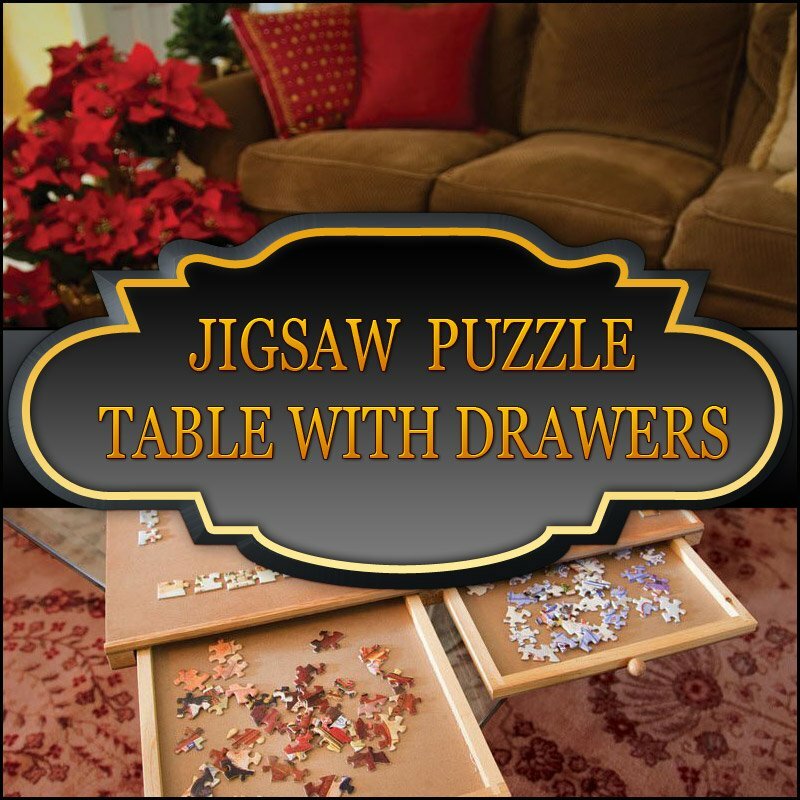 Are you for a Jigsaw Puzzle Table With Drawers ? 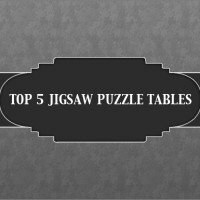 If you are looking for best jigsaw table with drawers we have two that I would recommend that are quite reasonable in price and actually have drawers that can be used to sort your puzzle pieces. If one of these two aren’t really what you are after than maybe you might want to check out some of our other jigsaw tables. 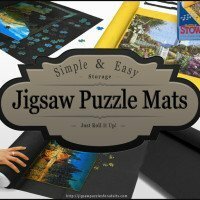 I admit that there are other jigsaw puzzle tables with drawers but they either have to be specially made and ordered way in advance or the price are way out of range. 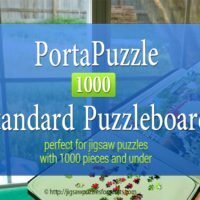 However, if you are looking for something that is totally unique and fits your specific situation and you have a handyman or woodworker that would love a new hobby project then there are a few really good jigsaw table woodworking plans out there. First we have the Jumbo Wooden Puzzle Plateau, this puzzle table and storage system measures 26 inches by 35 inches and holds puzzles up to 1,500 pieces. It really has some unique benefits when it comes to sorting, assembly and storage while working on a jigsaw puzzle. 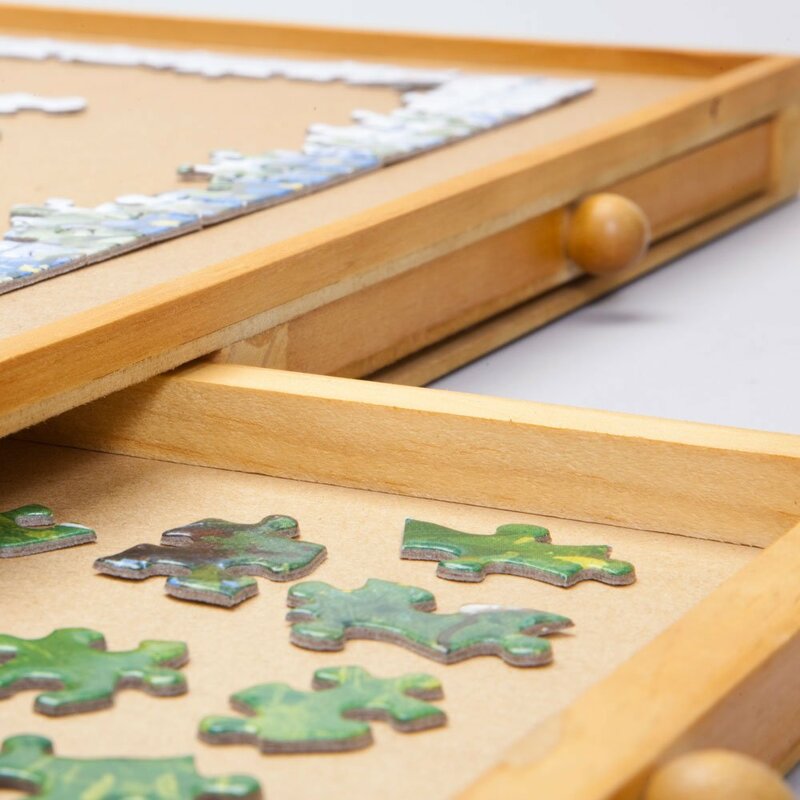 This wooden jigsaw puzzle organizer comes with four reinforced wooden sliding drawers that are perfect for sorting and storing your puzzle pieces. 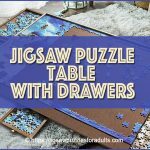 You can use the drawers for separating your puzzle pieces by color and shape or you go ahead and pull the drawers out and sit on the couch putting jigsaw pieces together and then returning to the big puzzle. So you’re not limited to sitting over the puzzle board at all times. This wooden jigsaw puzzle table top with drawers is really easy to store and is less than two inches thick. Stores perfectly under a bed. 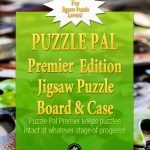 Using the Jumbo Wooden Puzzle Plateau makes putting together jigsaw puzzles way more organized. 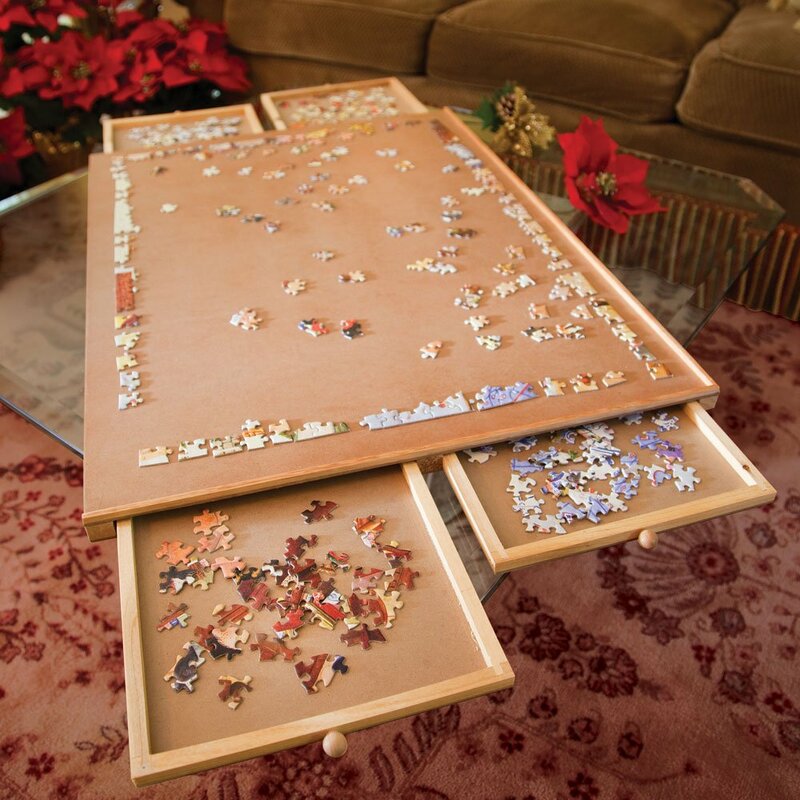 So if you are an avid jigsaw puzzler you’ll absolutely love this puzzle table with drawers. 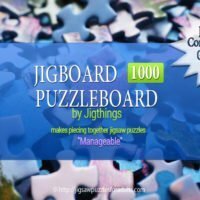 This jigsaw puzzle table top with drawers holds puzzles up to 1000 to 1500 pieces, however, if you’re planning on working on a panoramic puzzle they would probably be a bit too long for this puzzle table. The puzzle table with drawers is made out of smooth fiberboard which makes it sturdy enough but still light enough to move around. NOTE: One thing I might do is buy some felt and lay it down in the drawers and on the table because this would hold the pieces in place as there isn’t a cover that comes with it. 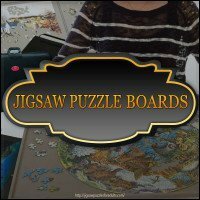 If you are needing a jigsaw puzzle table that can be transported I would consider checking out some of our other jigsaw puzzle boards. 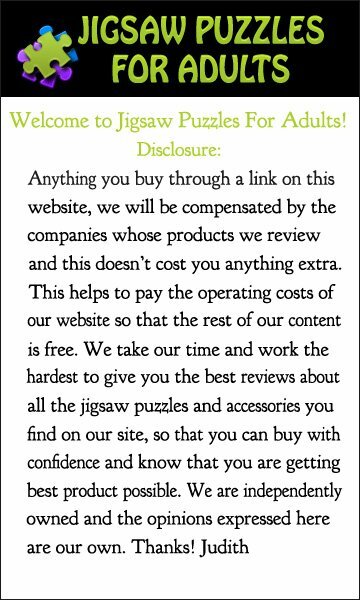 Some buyers have mentioned that when they received their jigsaw puzzle table and it was dented. 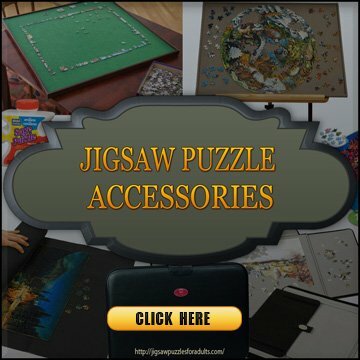 Since you are buying this table through Amazon if you have any problems what so ever with the puzzle table all you have to do is contact them and they will have a replacement sent out immediately. 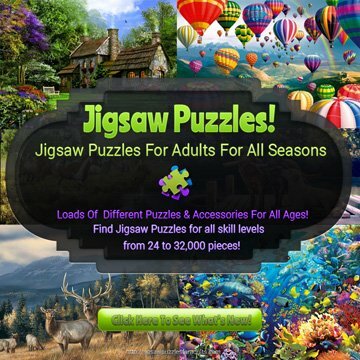 All in all this the Jumbo Size Wooden Plateauis a really great jigsaw puzzle table with drawers and would make an ideal gift for anyone who loves working on jigsaw puzzles. 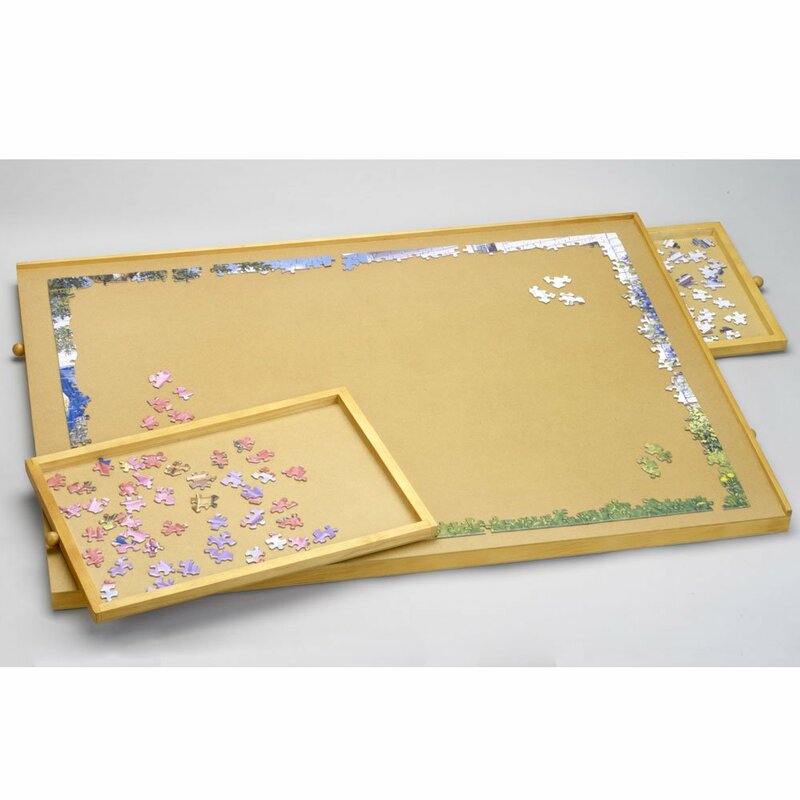 This standard size jigsaw puzzle table with drawers that are removable is fantastic! 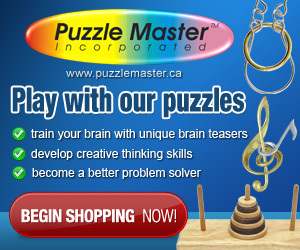 The puzzle table measures 21 inches by 29 inches and will fit most 1000 piece puzzles. The 4 drawers each measure roughly about 14.25 inches by 9.75 inches by .5 inches. This jigsaw puzzle organizer has 4 wooden reinforced sliding drawers so that you can sort and store your jigsaw puzzle pieces. 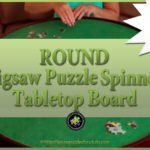 Two sides of the puzzle board do not have a raised edges and this gives you the ability to slide pieces off and onto another surface. You need to take note that this really isn’t a table but that is one of the Best features as you can set it on your coffee table or other table of your choice. 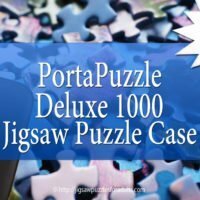 The second puzzle table with drawers that I would recommend is this exclusive jigsaw puzzle table that is made of premium wood with a non-slip felt top. The table itself measure 35 inches by 35 inches and is 29 and half inches from floor to table top. It comes with two slide out drawers for storing extra puzzle pieces and as a bonus the table folds flat for easy storage when not in use. 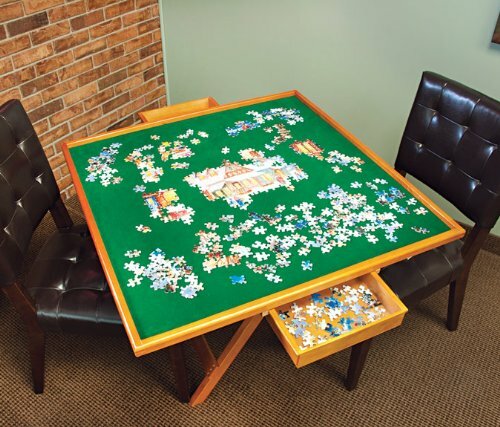 This puzzle table is ideal for all sizes of jigsaw puzzles except maybe panoramic and puzzles over 5000 pieces. I find that having a separate place to work on jigsaw puzzles is a perfect situation for avid puzzle makers because it’s nice to be able to work on a puzzle when ever you feel like it. 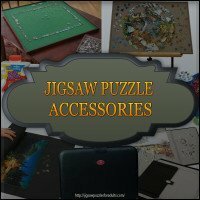 I hope this page helped with your search for a Jigsaw Puzzle Table With Drawers.